Firstly, I should start with an apology. It has, after all, been a while since my last missive from Scotland. And things have changed. My own website, Jockrock will also reach 20 later this year, but so much in the Scottish music of that time has come and gone. However, there are a few constants in an industry where longevity is a rarity. Arab Strap may be some sort of shining example - musically at least - to youngsters planning a career on the fringes of the music business. Formed around the time that LunaKafe was itself emerging from the primordial swamp, Aidan Moffat and Malcolm Middleton split the band in 2006, and showing an affinity for digital number systems, reformed - for one night only? - in late 2016. 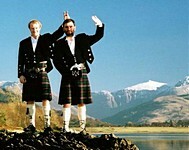 A couple of sell-out shows at Glasgow's legendary Barrowland later, and the duo had gone back into hibernation, their website's 'Goodbye for now' suggesting that while we live in hope, new material may not be forthcoming, though both Middleton and Moffat (the latter along with outsider jazz fiend Bill Wells) have plenty to keep them occupied. One band who certainly won't be gracing any stages are Urusei Yautura - news of a 'new' album caused some excitement, and while the bubblegum-pink vinyl release is a worthwhile addition to any collection, it is 'merely' a compilation of radio sessions, with "no chance" of the band reuniting any time soon. There's probably little chance of Aereogramme getting back together either, but for quite different reasons. Just starting out around two decades ago, the post-rockers split after four landmark, superlative-defying full-length albums. They then reformed in part as The Unwinding Hours, before success beckoned for Iain Cook's side project, the world-conquering electropop act Chvrches, leaving Craig B to make an exquisitely lonesome solo album as A Mote Of Dust. A quick skim through past articles shows LK to be a website of impeccable taste with many pieces written not just by myself, but by writers from the world over carrying the Scots torch long after my last contribution. 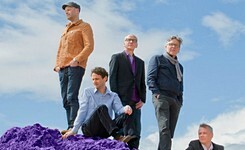 Belle and Sebastian and Teenage Fanclub, perhaps the most venerable acts, are still on the go - the Fannies notably releasing their best album in ages a few months ago - Here chock full of sparkling melodies, the band even returning to the 13th Note to record a video. Mogwai also showed great staying power, becoming the go-to act for anyone needing a doomily atmospheric film soundtrack. But do you ever wonder what happens to former actual bona-fide pop stars when the hits dry up? Some live off the royalties, while the less fortunate/famous get proper jobs. Former Soup Dragon Sean Dickson re-emerged this year and surprised many indie kids with the news that he'd been making a crust with a burgeoning DJing career. However, he's returned to his roots, with a new long-player, 'Ft.' Decidedly dance-influenced, it's not beyond the tastes of his former fans, and features ('Ft. ', see?) the likes of B52 Fred Schneider, Soft Cell's Dave Ball, the recently-departed Alan Vega out of Suicide, and Yoko Ono. Coincidentally, Dickson's bandmate Jim McCulloch, much beloved of LK writers, has just announced a retrospective of his Green Peppers material for release later this year. The Soupies, as they were probably never known, have perhaps the most diverse post-success careers of any Scottish act - Ross Sinclair returning to rock just last year following a successful art career, and Sushil K Dade perhaps taking a 'creative' approach to distribution of his latest recordings - hiding single copies of them around Scotland's beauty spots. But sometimes bands just have too much to offer to fade away. 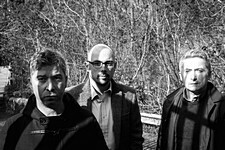 De Rosa have never actually split up, rather getting on with their lives as Martin John Henry continues to write his rousingly evocative new material. Some of this went into last year's 'comeback' 'Weem', and, never ones to miss a party, they played late last year to celebrate 10 years since their startling debut album 'Mend'. Of course, the Lanarkshire (then) three-piece are mere whippersnappers, with plenty more reformations in them. Nowadays it's perfectly acceptable to go on 'hiatus' - the musical equivalent of a career break - as the plethora of punk bands reforming for their 40th birthdays proves (The Skids hopping on this bandwagon later this year). bis got together again last year following their first long-player in 13 years, and The Yummy Fur will play at Celtic Connections in a fairly indie-friendly celebration of traditional music. Serial reformers Spare Snare still gig sporadically, and may well return to writing ways now that Jan Burnett's multi-guest The Grand Gestures project has run its course. El Hombre Trajeado's name had been bandied around of late, thanks to guitarist RM Hubbert winning the Scottish Album of the Year award for his solo work. But rather than take the undoubtedly enormous paycheck and returning to obscurity, the reformed band produced the startlingly fine 'Fast Diagonal' in 2016. Yes, it may have been a hellish year in may respects but there was plenty of music to keep the spirits up. But as we look back at the bands who have made Scotland great (and there will be many names I've omitted), we have to pay tribute to the business people - not very rock'n'roll I know, but the people who put their money where their mouths are as much the lifeblood of any cottage industry. These are often the same people as make the music of course, which is more reason to salute the likes of Creeping Bent, one label who, alongside dance doyens Soma, have stayed the course, and apart from anything else have continued to supply us with the Nectarine No. 9 and Sexual Objects material. So, it's a shame that the one thing we didn't get was a reunion from the band who, you might argue, started it all. Yes, it's already January 2016 and we're still waiting on a Delgados reunion.